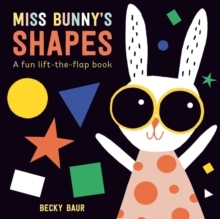 This is a book to share with very young children just beginning to explore their world. 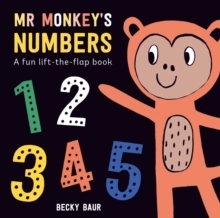 Becky Baur - whose charming illustrations are full of warmth and humour - has fun on the page introducing colours, numbers, shapes, opposites and first words. Each spread introduces a key concept either via a single scene or a number of small artworks - all with first word labels. There are all kinds of things to spot and find in the pictures, including animals who play a riotous game of peekaboo throughout the book. 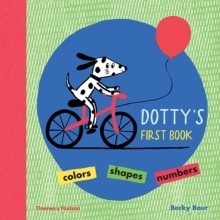 Die-cut shapes on each spread lead Dotty the spotty dog and the child through the book and provide visual surprises when you turn the page. The illustrations summon up the familiar world of a child: playing in the garden, walks to the park and even flying a toy rocket to the Moon.